When you decide it’s time for a truck or pick-up truck you might think all trucks are built the same – cab, bed, and tailgate. When faced with a decision between so many trucks, how do you decide which one will best serve your needs? It depends on what you’ll use your truck for – towing a boat or hauling construction equipment, as a day to day vehicle for your family or for a camping adventure. Here are some things to know about what various trucks have to offer. Not all truck engines are created equal, and how much horsepower or torque you need will depend on your reasons for buying a truck. Horsepower is how much energy your engine produces, while torque is the ability of the engine to do the work you want. The greater your need for towing or hauling heavy objects, the more torque you will want. Diesel engines commonly offer plenty of low-end torque. This means at low engine speeds, these engines can pull massive trailers up severe grades. Some trucks have TurboCharged 4 Cylinders that outperform many V8s and others have V8s that can run on as low as 2 Cylinders to conserve fuel but fire up to all 8 when needed. Six Cylinders are both Inline and V6 that have different power curves designed to mirror your daily demands. 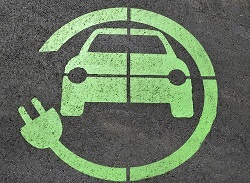 You might not have considered fuel options other than gas until now. A truck that takes gas may cost less than one that requires diesel, however, in addition to better fuel economy, diesel also offers more power for your heavy jobs. FlexFuel is another option, allowing a truck to run either on gasoline or ethanol. Ethanol offers less energy per gallon but burns cleaner with fewer gashouse emissions and most of the time costs less at the pump. For most people, it’s a given that they want a truck with Four Wheel Drive. This option allows greater control on the road, especially in bad weather conditions. However, 4X4 adds considerable weight to a vehicle and has more rotating mechanical parts, which compromises fuel economy. In a mild climate where you don’t expect to drive on snowy or muddy roads, a Rear Wheel Drive truck will probably be the better and more economical choice. Trucks come in all kinds of cab and box sizes, or even Chassis Cab (no Box), and your choice will depend on your needs. From two-door Regular Cabs to four-door Crew Cabs and Mega Cabs, this is a matter of preference, how many passengers you expect to transport, and how much room you require. Even if you don’t expect to have more than one passenger, you might find the four-door Crew Cabs offer the room you want to store certain gear inside your truck. There are usually 3 sizes of bed for pick-up trucks. You will find short, standard, or long box. Sizes vary by manufacturer and what you choose depends on your needs. Are you putting firewood or drywall in the bed of your truck? Drywall and plywood are standard 8-foot sheets, so a long box might be in order, however, a short box with the tailgate down can also do the job. Consider the use you expect to get out of the truck when deciding what box size you need in addition to the way it drives, parks, and of course fits in your garage. Dallas Lease Returns has a truck that is sure to meet your needs! Stay tuned for part two, where we will look at truck options and accessories. With warmer weather, school break, and vacations just around the corner, maybe you’re wondering what you need to make the most of the summer months. If you’re looking for a vehicle to accompany you on the ultimate road trip, we have some tips for you to keep in mind. No matter how hot and humid it gets, the right car can feel like home. This is especially important on long trips. Ice cold air conditioning can turn hours on the road during sweltering days into a pleasure. Some vehicles offer multi-zone climate control so your passengers can adjust temperature settings to their personal liking. Looking for even more comfort options? Try cooled or ventilated seats! Keep your passengers from getting bored on those long trips by going beyond basic AM/FM/CD radio. Bring along your iPod or MP3 player to customize your tunes, or look into satellite radio for more variety. DVD gives you another way to keep everyone happy, with options from one central screen to individual seatback screens. If video gaming is your thing, look for a car that offers plenty of accessible 12-volt power ports for your handheld consoles. Or go the extra mile with in-vehicle WiFi so you can enjoy gaming, electronic books, movies, or streaming music. If you prefer to enjoy the rolling hills, patchwork fields, and wide open spaces, why not look for a vehicle with a sunroof? Let the sunshine in with a sliding or power sunroof, and enjoy the open feeling as you cruise. Even on a gloomy day, a sunroof can add much-needed brightness or the soothing sound of a gentle summer rain as you follow the open road to your next destination! Dallas Lease Returns has the right car, minivan, or truck for your next adventure! With graduation or senior year just around the corner, many parents consider giving a car as a gift to the young driver in their family. What makes the most sense and will give you peace of mind when your teenager is on the road? As the parent, you probably have an idea of the rules you will set, such as limiting their travels. However, you might wonder what car makes the most sense. Here are a few tips to help you decide. A used vehicle, especially one that still has factory warranty coverage, is the most practical purchase for your young driver. Why? Because teenagers have less driving experience, which means the odds of them damaging the vehicle are greater. An older car makes more sense than brand new since it costs less and will be less expensive to insure. While a certified pre-owned vehicle might be of interest because of the existing warranty, it will cost more than most used vehicles. A lease return vehicle offers the same benefits as CPO without the high price tag. The main question on every parent’s mind is what car is safest for their teen. Size matters when it comes to safety. You probably don’t want something too large, like an SUV or pick-up truck, which might be hard to control, or too small. A midsize sedan or similar vehicle often hits that sweet spot. Safety features to look for include rearview cameras or parking sensors, blind spot detection, and side curtain airbags. Since these are features you tend to find in newer cars, keep in mind you can install a camera and blind spot monitor in an older car. A car with handsfree features and Bluetooth can help minimize distractions while keeping your teen connected. Some vehicles actually have the ability to stop phone usage over 5 miles an hour. You might also want a vehicle that has parameters you can set for your teen driver, so they can’t exceed certain speeds or so the radio can’t exceed a certain volume. Electronic stability control is another safety feature to look for in a car. This helps the driver stay in control of a car on slippery and curvy roads. Visibility is another important consideration since some cars have better sight lines than others. This is why a test drive is important, to ensure your teen can see out of all the windows and find the blind spots. Look at the car’s history to see how many owners it’s had, as well as the mileage and service records. Look for proof of oil changes and other upkeep. Check the engine and tires. Better yet, bring your teenager, and teach them how to do the same! Make sure the car has a CARFAX or AutoCheck, which can answer many of your questions. This is why we suggest a lease return vehicle since they generally have a detailed service record and may be covered under a limited warranty. While your teen probably wants a car that looks good and will gravitate toward a sporty model, avoid fast cars with powerful engines. We aren’t suggesting a horse-drawn buggy (though that might be tempting for you, as a parent! ), but a midsize vehicle with a strong body structure is your best bet. This is an exciting time for both parent and teenager, and we can help you find the right car for your young driver! 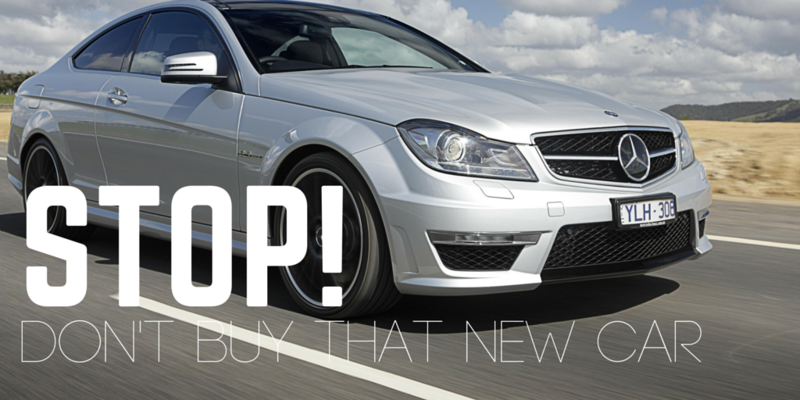 As a car shopper, you literally have hundreds of choices when it comes to picking a new ride. While there’s something for every buyer, finding that perfect match isn’t always easy. Here at Dallas Lease Returns, we want to ensure you find the best vehicle for your lifestyle! To do so, we put together a list of three crucial questions you need to ask yourself before making the decision. Continue reading to learn what they are! Cars tend to be extensions of our personalities, so you’ll probably gravitate toward cars that fit yours. Most car buyers know what they don’t like and what they do. Is comfort and convenience more important to you than other factors? Do you have a preferred color you want for your car? These are the things you need to ask yourself before making a decision. Think about your lifestyle and how your car fits into it. If you have two kids and another on the way, you obviously will need something to transport everyone safely. On the other hand, if you’re a business professional who has to drive clients around, you’ll probably need something a little more upscale. This is why being honest with yourself and thinking ahead is the key to finding the perfect vehicle. This is a crucial question to ask yourself. Before making the decision to purchase a vehicle, you need to consider the total cost of the car, including the monthly payment, registration, insurance, fuel, and maintenance costs. If you solely focus on the monthly payment of the vehicle, you could be convinced to stretch your payments out to buy more car. By doing so, you could pay thousands more in interest and put yourself at increased financial risk. Go over you finances with a fine toothed comb and, once again, be honest about what you can afford and what you can’t. Going into a dealership with a set monthly budget in mind will make all the difference. Once you answer all three questions, you will know what you want, what you need and what you can afford! To further ease your car search, browse our vast inventory online! Purchasing a lease return is one of the most financially advantageous ways to buy a vehicle for many reasons. In most cases, you can get way more vehicle than for the base price of a brand new one. This savings allows you to enjoy upgrades that you have always dreamed about at a fraction of the new vehicle price. In addition to costing less than a new car in terms of price, sales tax, and insurance, a previously-leased vehicle can benefit you in other ways. Often you will see discounted late model financing opportunities through the dealer. Starting with the most obvious factor, a lease return costs less than buying new. A new vehicle depreciates quicker than you might think – some up to 30% in the first year! Certified pre-owned (CPO) vehicles are an option, but they are also priced higher because they are backed by the original manufacturer’s warranty coverage and that has a cost figured in to qualify as Manufacturer Certified. A returned lease vehicle is the sweet spot between a CPO and a used vehicle, and this is just one reason! Leased vehicles are often under contracts that require the lessee to follow specific maintenance guidelines and have all work done directly at the dealership. After only 2 or 3 years, a lease return may still be in like-new condition. Excessive wear and tear is charged to the original lessor to offer you a vehicle that is in line with wear and tear plus may also still have its existing warranty. If not, it could be eligible for an extended warranty, depending on the dealership. A leased vehicle will usually have less mileage since many lease contracts set annual mileage limits and charge for every mile over that amount. The end result of a vehicle that has been leased according to the terms of its contract is a high-quality used vehicle. A car history report will reveal anything you should know about the vehicle, including service history. The dealer may also be able to let you know what the original lease terms were and verify the history report. The newer the vehicle, the more recent and innovative its technology and features. 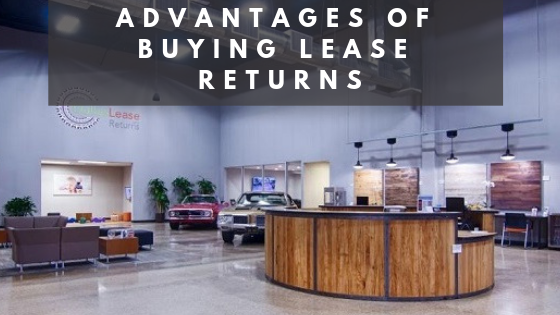 A lease return is an excellent opportunity to get these features at a fraction of the cost of a new car or truck. This is where a test drive is important so you can check out the vehicle’s features to ensure they work the way they should. For example, if you are looking for a car with smart device integration, make sure the one you’re considering works well with your phone. We encourage you to take the time to ask questions and test the safety features, as well, such as cameras, sensors, adaptive cruise control, and other such systems. Purchasing a lease return is one of the best ways to get more car for your money. Here at Dallas Lease Returns, we have models as recent as 2018 and 2019 in fantastic condition and available at a reasonable price. If you are looking for a near brand new car, without the brand new price tag, check out our inventory of lease return sedans, lease return trucks, and lease return SUVs! To browse our inventory click here or call (214) 960-1388 for more information! While there are benefits to buying a brand new car, it might not be the smartest financial choice. Before you think a car with only 10 miles is the better deal, here are three arguments why you should never buy new! Buying a great car does not have to complicate your financial life! If you have good credit and you’re able to qualify for a new car loan with no hassles, banks may compete for your business and offer the best rate possible. But even with low-rate auto financing on a new purchase, a new car will be more expensive than an older version of the same car. Not only because of the higher sale price, but you’ll also pay more in other areas. Brand new cars can have higher insurance premiums than used cars as well. It’s kind of a trap, but new cars depreciate faster than used vehicles. The sad reality is that the average new car can depreciate as much as 19% in its first year! What does this mean for you? To put it simply, if you buy a brand new car without a down payment, or if your monthly loan payment isn’t high enough to compensate for depreciation, you could end up owing more than the vehicle is worth. Negative equity isn’t the worst thing to happen if you plan on keeping the car until it’s paid off. But if you’re the type of person who trades in vehicles every two or three years, negative equity can increase the cost of your next vehicle. Say a dealership gives you $19,000 for your trade-in, yet you owe $22,000, the $3,000 difference doesn’t just go away. You have to pay it when the dealer tacks the negative equity onto your next car loan. So instead of a sale price of $27,000 for your next vehicle, you end up financing $30,000. On the other hand, if you skip the brand new car and buy a vehicle that’s one or two years old, you’ll be able to get the car at a price that’s more comparable to its actual value, and possibly avoid an upside-down loan. Since cars depreciate rapidly within the first year, buying used is an opportunity to get more for less! For example, you can buy used cars that are less than a year old and save thousands of dollars! Here at Dallas Lease Returns we have great quality, used vehicles that are in perfect condition! Most are just a couple years old and we even offer used luxury brands! It’s like buying a brand new car, without the brand new price tag. In summary, buying used is the way to go! It saves you money in the present and future, and is also the most practical method. To browse our inventory, visit our website!